Luxembourgish euro coins feature three different designs, though they all contain the portrait or effigy of Grand Duke Henri of Luxembourg. The designs, by Yvette Gastauer-Claire, also contain the 12 stars of the EU flag, the year of imprint and the name of the country in the Luxembourgish language: Lëtzebuerg. The Grand Duke Henri of Luxembourg appears on the coins facing to the left. He was not featured on the Luxembourgish franc as he only became Grand Duke in 2000 following the abdication of his father, Jean. Jean's portrait on the francs showed him facing to the right, and it is common in a number of countries for successive monarchs to alternate the direction they faced on coins. Other euro coins issued by member states which are monarchies show their monarchs facing to the left, in common with the effigy on their legacy currencies. For images of the common side and a detailed description of the coins, see euro coins. ^ In heraldry, directions are often described as they would appear to the bearer of a coat of arms, rather than as they would appear to the viewer. 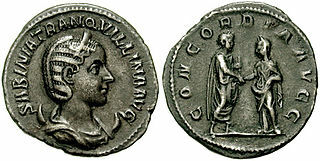 Therefore, coin descriptions will use "facing to the left" when it would appear to the layperson that the person depicted is facing to the right. ^ "Circulating Mintage quantities". Henning Agt. Retrieved 2008-08-19. ^ "Produits numismatiques du Luxembourg - 2018" (PDF). bcl.lu. Banque Centrale de Luxembourg. Archived from the original (PDF) on 30 June 2018. Retrieved 12 July 2018. Dutch euro coins currently use two designs by Erwin Olaf, both of which feature a portrait of King Willem-Alexander of the Netherlands. The new designs began circulating in 2014. Dutch Euro coins minted from 1999 to 2013 feature a portrait of Queen Beatrix designed by Bruno Ninaber van Eyben. All coins share the 12 stars of the EU and the year of imprint in their design. Obverse and its opposite, reverse, refer to the two flat faces of coins and some other two-sided objects, including paper money, flags, seals, medals, drawings, old master prints and other works of art, and printed fabrics. In this usage, obverse means the front face of the object and reverse means the back face. The obverse of a coin is commonly called heads, because it often depicts the head of a prominent person, and the reverse tails. Berg Castle, also called Colmar-Berg, is the principal residence of the Grand Duke of Luxembourg. It is situated in the town of Colmar-Berg, in central Luxembourg, near the confluence of the Alzette and the Attert, two of Luxembourg's most important rivers. 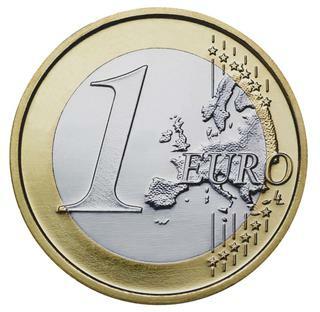 The 1-euro coin (€1) is a euro coin with a value of one euro (€1). It is made of two alloys: the inner part of cupronickel, the outer part of nickel brass. All coins have a common reverse side and country-specific national sides. The coin has been used since 2002, with the present common side design dating from 2007. The Juncker–Poos Ministry was the government of Luxembourg between 26 January 1995 and 7 August 1999. It was led by, and named after, Prime Minister Jean-Claude Juncker and Deputy Prime Minister Jacques Poos. The Tornaco Ministry was in office in Luxembourg from 26 September 1860 until 3 December 1867. It was reshuffled six times. The Willmar Ministry was in office in Luxembourg from 2 December 1848 to 23 September 1853.